When you own a handmade mens leather wallet with a sophisticated design, modern color, the wallet will elevate your value to a higher position. This luxury accessory also reinforces the gentleness of men. More over with these five reasons below, we believe you will not be disappointed with our products which are being sought after by a lot of gentlemen. Handmade mens leather wallet is becoming the norm for young men seeking to stand out from the crowd. 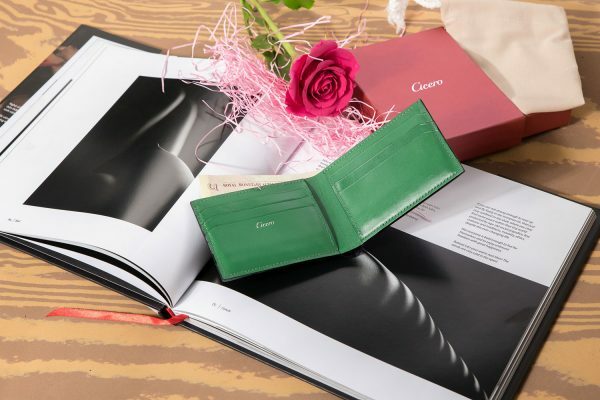 At Cicero; these wallets are hand-stitched by a skill artisan. Each wallet is handmade from start to finish by the same artisan, and none will look exactly the same. The wallet can be seen as a work of art that contains the heart and soul of the person who make it. Premium craftsmanship must go with premium leather. Our leather is dyed with the full aniline technique. This technique allows color to penetrate deeply into the leather fiber. As a result, the color is very life like and vivid. It will also last a very long time, and will not fade away under external environment. Our handmade mens leather wallet is made with natural full-grain leather which is the most durable leather. The surface is soft, smooth, and offer a lot of flexibility which is very important for a handmade men leather wallet. If the wallet is too soft, it can’t withhold the pressure when inside the pants pocket, thus losing its structure. If it’s too stiff, you will feel uncomfortable. The key is to get the right balance. Cicero ‘s handmade mens leather wallet for men has sophisticate design, attention to detail in every stitches. When this high-end craftsmanship goes with premium material create a wallet that will make every men feel confident, and satisfied. 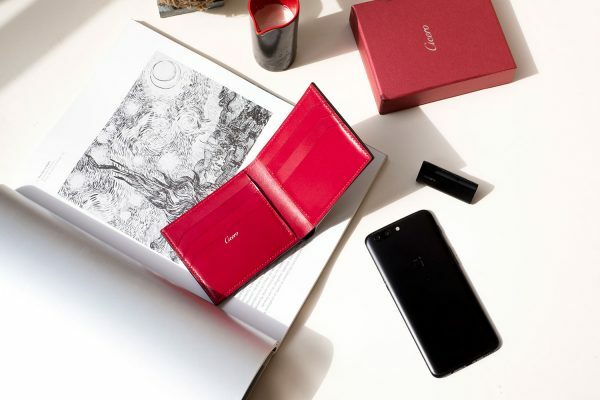 By having this unique accessory, you don’t have to say much about yourself, as the wallet itself is already a luxury sign to elevate your style. Cicero’s handmade mens leather is designed elegantly and durable to last you a life time. The wallet is compact, with multiple compartments to carry as much as possible while still maintain a slim profile. It is also very pocket friendly. The wallet is comfortable to be sat on and won’t lose its overall structure like a bend corner. So, don’t hesitate and take a look at our collection of handmade mens leather wallet!